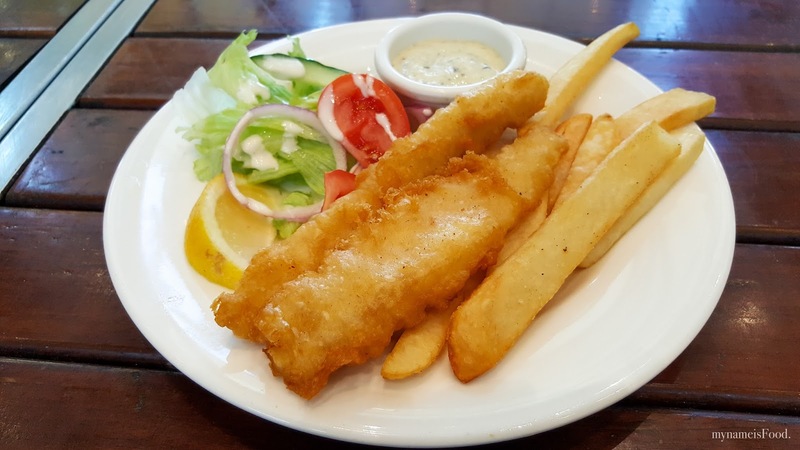 Chermside Tavern, Westfield Chermside, Chermside, Brisbane - my name is Food. 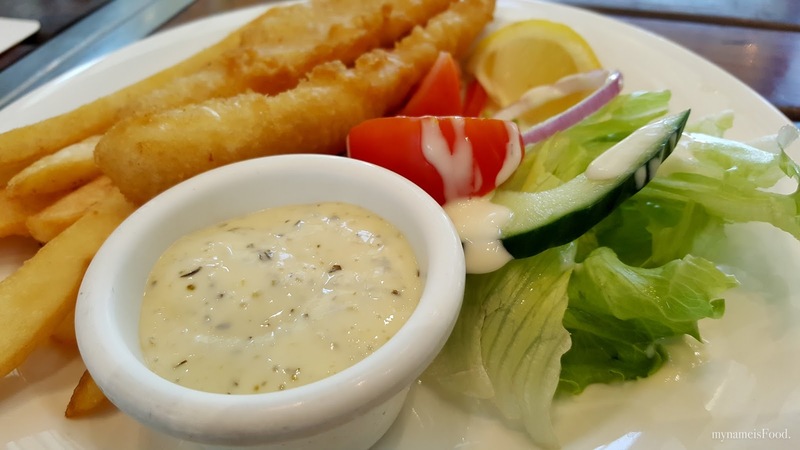 A local and casual place to dine and have your usual pub food as you gaze out to the park or people watching. 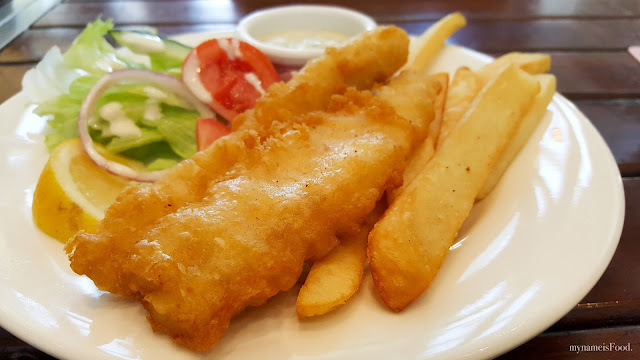 Having lunch specials throughout the weekdays as well as night specials throughout a few of the weeknights, allows diners to come in and enjoy themselves not having the need to dress up. The portions do seem to have lessen since a few years ago but if you're after a quick meal, then why not, I guess? 'Fish and Chips' (AUD$10) was served battered with fries and garden salad on the side with a pot of tartare sauce. The battered fish was battered well, not too thick and although it may be on the small side, I did feel that it was enough after you have eaten everything off the plate. The fries however weren't too great, some were a bit more on the soggy side, not exactly crispy. 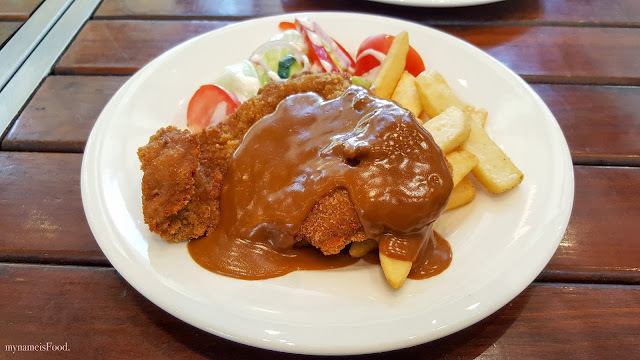 'Crumbed Steak Diane' (AUD$10), again served with chips and salad and diane sauce poured over the crumbed steak. The portion of the crumbed steak was actually quite big and the sauce wasn't too bad either. 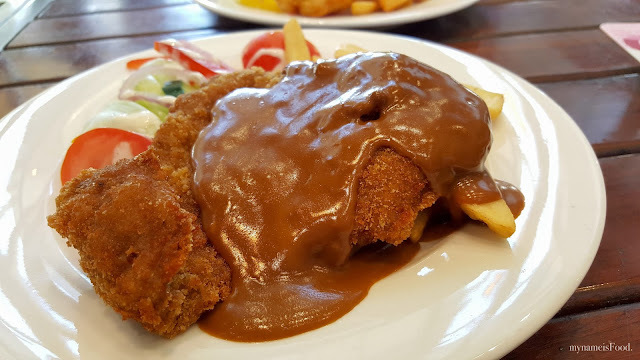 Diane sauce is a classic, thick and creamy gravy texture like and it can overpower the crumbed steak if it is too thick, which this felt like that just a little.